As hubby and I approach the final weeks of pregnancy, I find myself quite uncertain about the days ahead. Labour and motherhood are such wild unknowns for me that all I can do is cross my fingers and hope for the best because so much of it is out of my control! That our little miss is healthy. With the technology available these days, it’s easier than ever to scan for things that might go wrong, but that’s still no guarantee. This has been my single biggest fear throughout the pregnancy. That I’ll be a good mother. I’m not naturally the maternal type so I have a feeling that this part (the most important part!) will be a big challenge for me. 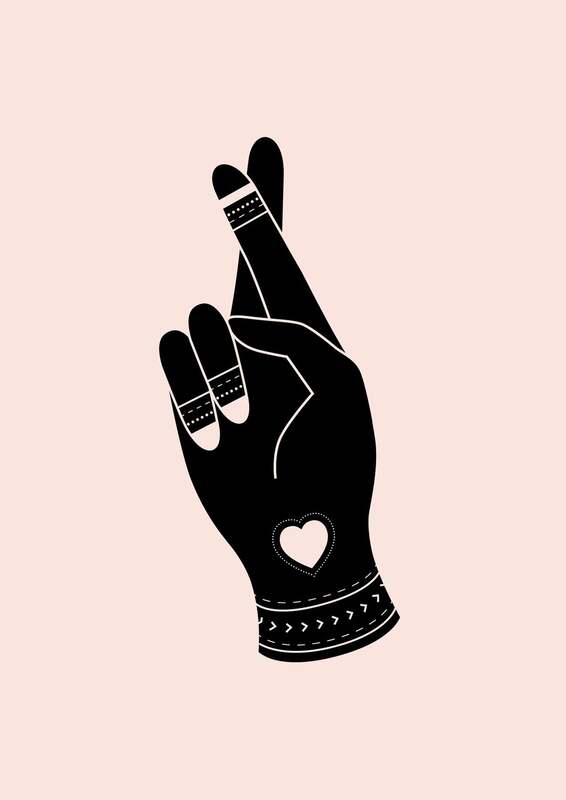 What have you keeping your fingers crossed for lately? A new job? To grow your business? I’d love to know! Eeeee! I LOVE this one!!! 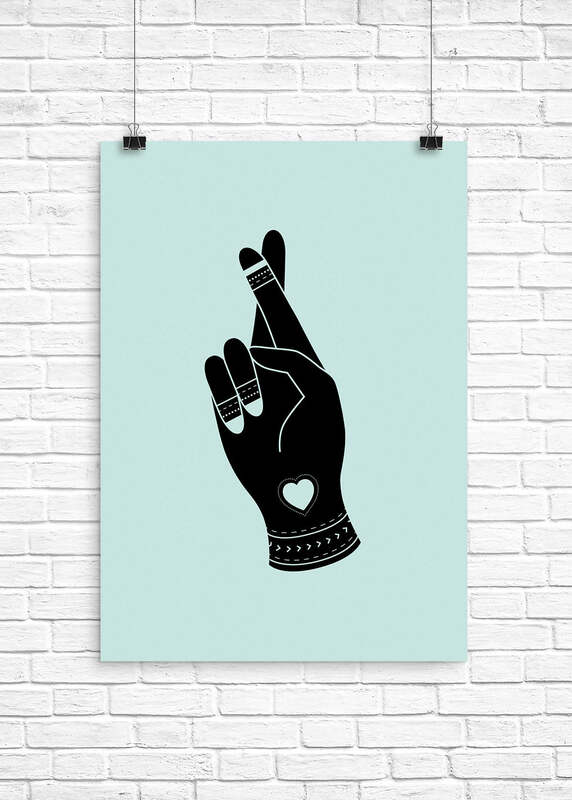 I am constantly saying “fingers crossed” and this print is amazing! My fingers are definitely crossed for you, hubby, and little miss! Best of luck with everything! Just remember babies aren’t as breakable as you think, do “maternal” and mothering in the way that feels right to you, and you’ll be all good. So excited for you, Steph and thanks again for this amazing printable!